In spite of many skeptics who claim it was merely an urban legend, revered gospel and country singing man in black Johnny Cash did actually lend his name and own brand credibility to Canada Trust's blossoming ATM roll-out in the mid-1980s. As in, I need money, let's hit a Johnny Cash machine. 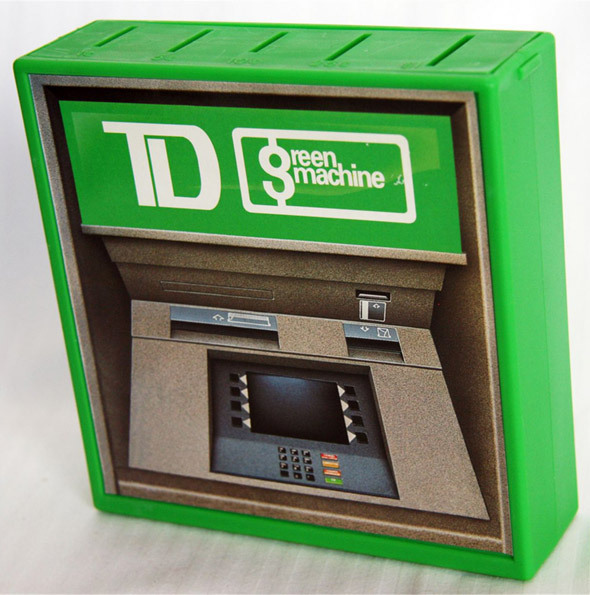 Now simply taken for granted, the novel ATM age really kicked off in the early 1980s when Toronto Dominion unveiled their "Green Machines," which were followed closely by the Scotiabank "Quickstop Cashstops." Just look at how utterly happy these ATM using people are. As easy as it may be to Monday morning quarterback the questionable behaviors of previous generations, one of the more bizarre aspects of the old days were banker's hours. The majority of banks were only open from 9 a.m until 3 p.m., meaning most working people had no option but to line up to withdraw or deposit money at lunch time (and with no smart phones to pass the queue time, gasp!). ATMs were few and far between, and chances are if your bank had one, it was only accessible during business hours. Not only that, they were closed on weekends so if you missed taking out cash on Friday, weekend prospects dimmed to grim. In fact it's kind of impossible to imagine how people tolerated much less survived such a major inconvenience. Mike McCurlie remembers that time well. After he and fellow band member at the time Daniel Lanois opened the Grant Avenue Studios in Hamilton, Mike was forced to detour into "writing and selling goofy jingles to help pay the bills." One of his first customers was Canada Trust. "At the time Canada Trust was aggressively advertising their hours, and I came up with the jingle 'We're open 8 'till 8, early and late, we're open Saturday's too.'" After the success of McCurlie's catchy business hours awareness campaign, they looked towards a much more ambitious project. Devised by Canada Trust's marketing head Don Park, Rock-a-billy boom-chick-a-boom legend Johnny Cash was enlisted to put a name, face and homophone to Canada Trust's ATM strategy, and thus "I Walk the Line" became "Why walk the line?" Flown into Toronto and then chauffeured by limousine to Grant Avenue Studios, Cash made quite the impression during his short stay in Hamilton. "He walks into our studio" recalls McCurlie, "he's like 6'9 or something, really tall, wearing all black including a Cowboy hat and a bright turquoise neckerchief. I was the only guy in the control room and he looks at me and says in that wobbly voice he was famous for, 'Hi, I'm Johnny Cash.'" Two different 30 second TV spots were recorded, with McCurlie's prized 1968 Martin A35 guitar standing in for Johnny's similar but absent axe. 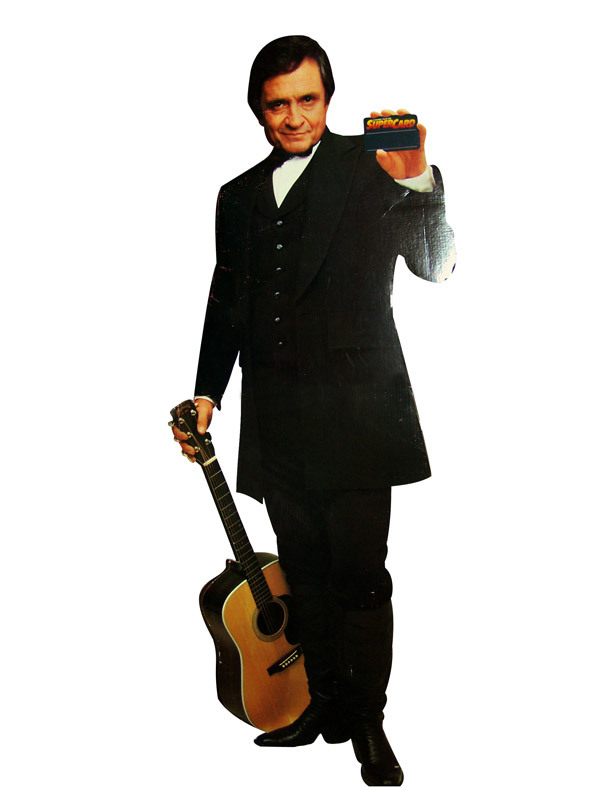 Amazingly, Canada Trust also created life size Johnny Cash cardboard standees which briefly appeared in branches until most of them ended up getting stolen or weather damaged. At the time, Johnny was a somewhat of fading star, with only a special guest appearance on The Muppets and TV movie Murder in Coweta County to remind people that he was still alive. During his short stint at Grant Avenue Studio, he apparently ventured into the Wentworth Street Tim Horton's, where he enjoyed a coffee undisturbed. "People probably just thought it was someone who looked like him, because there'd be no reason for the real Johnny Cash to be in a Timmy's on Wentworth," laughs McCurlie. When Johnny Cash rejuvenated his career in the 1990s with a U2 collaboration and the American series of albums, people who recalled and spoke of Canada Trust's Johnny Cash machines of the mid-1980s were often derided or accused of fostering urban legends (this was before the internet was around to verify or further mystify subjects). It was a relief to find someone else who remembered those TV commercials, or the life-size standees, to ensure one had not lost their mind or perhaps Dallas-style dreamt the whole thing. Sadly the otherwise spiffy Hollywood bio-pic Walk the Line did not cover this amazing moment in Ontario pop culture history. While old friend and band member Lanois went off to Los Angeles, Mike McCurlie found great success in those goofy jingles and his hugely successful company MJM Productions is a testament to that. In addition to Canada Trust, his other earliest clients included Pizza Pizza and African Lion Safari, both of whom have used his memorable jingles for more than 30 years. So next time you are grumbling about someone taking an extra minute or two to make a deposit while queuing at the bank, just think of Johnny Cash and ask yourself "Why walk the line?"